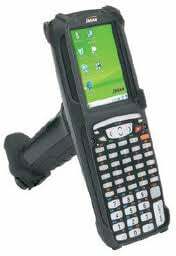 Janam has announced that Kelli’s Gift Shop Suppliers, a leading wholesale distributor of gift products, has selected Janam’s XG Series as the mobile handheld for the company’s warehouse management system (WMS). Tech-Acumen, Inc., a software solution provider, designed and developed a custom Real-Time Warehouse Management System for Kelli’s Gift Shop Suppliers. The solution, which integrates with CounterPoint SQL Point of Sale software, features real-time bin quantities and a management console with real-time warehouse performance metrics. Paired with the Janam XG Series mobile devices, material handlers in Kelli’s massive warehouse can no easily perform all warehouse operations, including receiving, put-away, order-picking and replenishment are fully supported with real-time data.